You are currently visiting the website of the the National Database for Autism Research (NDAR) is an NIH-funded data repository that aims to accelerate progress in autism spectrum disorder (ASD) research through data sharing, data harmonization, and the reporting of research results. NDAR is one of several databases that make up the National Institute of Mental Health Data Archive (NDA). NDAR accepts, houses, and shares with qualified researchers, harmonized, item-level, ASD-related data of all types, and concerning all levels of biological and behavioral organization. Sharing data, associated tools, and methodologies, rather than just summaries or interpretations of them, accelerates research progress by allowing re-analysis of data, as well as re-aggregation, integration, and rigorous comparison with other data, tools, and methods. This community-wide sharing requires common data definitions and standards, as well as comprehensive and coherent informatics approaches. To meet this challenge, NDAR supports several tools for data definition, harmonization, and quality assurance, in order to help researchers adopt and meet community data standards across all projects and research institutions. After thorough analyses and input from the whole ASD research community, the NDAR Data Dictionary contains many hundreds of community-defined data structures. NDAR has the capability to use these structures alongside quality assurance tools to ensure data stored in the repository are harmonized to those community-defined standards. NDAR also supports the reporting of research results through the NDA Study feature. This allows researchers to link their publications or findings directly to the set of underlying data already stored in NDAR with supporting documentation (cohort definition, measures, results, etc.). For a more detailed understanding on how NDAR organizes and shares human subjects research data see the publication Sharing Heterogeneous Data: The National Database for Autism Research. NDAR is a part of the National Institute of Mental Health Data Archive (NDA), a collection of repositories including the RDoC Database (RDoCdb), the National Database for Clinical Trials related to Mental Illness (NDCT), and the NIH Pediatric MRI Repository (PedsMRI). The NDA infrastructure was established initially to support NDAR, but has grown into an informatics platform that facilitates data sharing across all of mental health and other research communities. 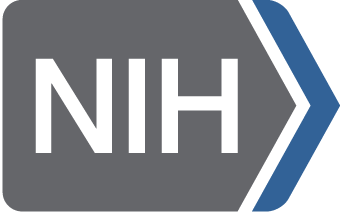 The NIH and the NIMH seek to encourage the use of these resources to achieve rapid scientific progress. In order to take full advantage of such resources and maximize their research value, it is important that data be made available, on appropriate terms and conditions, to the largest possible number of qualified investigators in a timely manner. NDAR supports the aims of the Interagency Autism Coordinating Committee (IACC), which is a federal advisory committee that coordinates all efforts within the U.S. Department of Health and Human Services (HHS) concerning autism spectrum disorder (ASD).